Caching is one of the easiest ways to increase system performance. Databases can be slow (yes even the NoSQL ones) and as you already know, speed is the name of the game. A caching strategy for Top-10 leaderboard system for mobile games will be very different than a service which aggregates and returns user profiles. Choosing the right caching strategy is the key to improving performance. Let’s take a quick look at various caching strategies. This is perhaps the most commonly used caching approach, at least in the projects that I worked on. The cache sits on the side and the application directly talks to both the cache and the database. The application first checks the cache. If the data is found in cache, we’ve cache hit. The data is read and returned to the client. If the data is not found in cache, we’ve cache miss. The application has to do some extra work. It queries the database to read the data, returns it to the client and stores the data in cache so the subsequent reads for the same data results in a cache hit. Another benefit is that the data model in cache can be different than the data model in database. E.g. the response generated as a result of multiple queries can be stored against some request id. When cache-aside is used, the most common write strategy is to write data to the database directly. When this happens, cache may become inconsistent with the database. To deal with this, developers generally use time to live (TTL) and continue serving stale data until TTL expires. If data freshness must be guaranteed, developers either invalidate the cache entry or use an appropriate write strategy, as we’ll explore later. Read-through cache sits in-line with the database. When there is a cache miss, it loads missing data from database, populates the cache and returns it to the application. 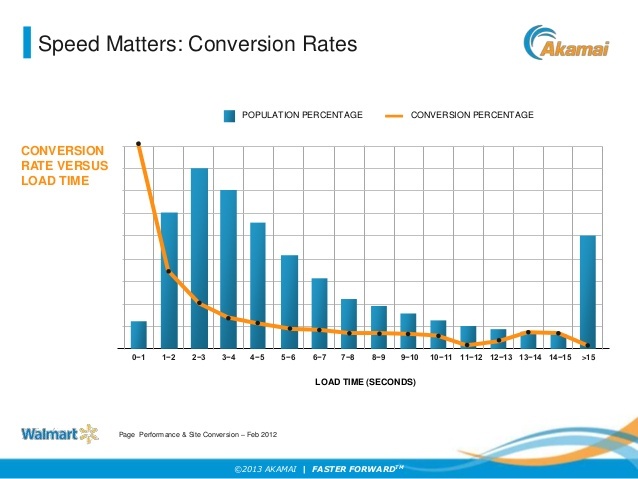 Both cache-aside and read-through strategies load data lazily, that is, only when it is first read. 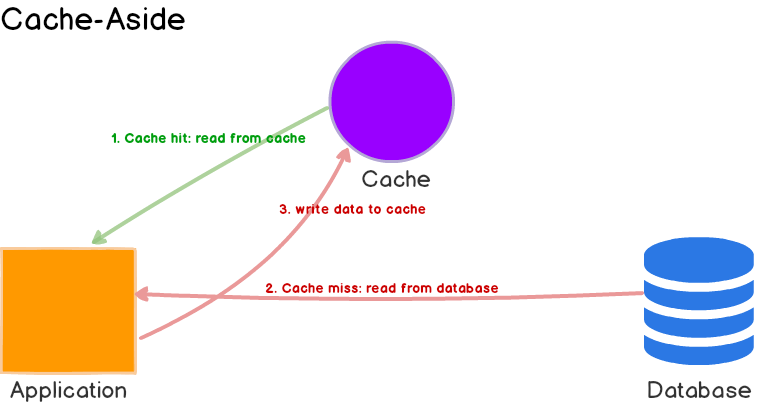 In cache-aside, the application is responsible for fetching data from the database and populating the cache. In read-through, this logic is usually supported by the library or stand-alone cache provider. Unlike cache-aside, the data model in read-through cache cannot be different than that of the database. Read-through caches work best for read-heavy workloads when the same data is requested many times. For example, a news story. The disadvantage is that when the data is requested the first time, it always results in cache miss and incurs the extra penalty of loading data to the cache. Developers deal with this by ‘warming’ or ‘pre-heating’ the cache by issuing queries manually. Just like cache-aside, it is also possible for data to become inconsistent between cache and the database, and solution lies in the write strategy, as we’ll see next. In this write strategy, data is first written to the cache and then to the database. The cache sits in-line with the database and writes always go through the cache to the main database. On its own, write-through caches don’t seem to do much, in fact, they introduce extra write latency because data is written to the cache first and then to the main database. But when paired with read-through caches, we get all the benefits of read-through and we also get data consistency guarantee, freeing us from using cache invalidation techniques. Here, data is written directly to the database and only the data that is read makes it way into the cache. Write-around can be combine with read-through and provides good performance in situations where data is written once and read less frequently or never. For example, real-time logs or chatroom messages. Likewise, this pattern can be combined with cache-aside as well. Here, the application writes data to the cache which acknowledges immediately and after some delay, it writes the data back to the database. This is sometimes called write-behind as well. Write back caches improve the write performance and are good for write-heavy workloads. When combined with read-through, it works good for mixed workloads, where the most recently updated and accessed data is always available in cache. Some developers use Redis for both cache-aside and write-back to better absorb spikes during peak load. The main disadvantage is that if there’s a cache failure, the data may be permanently lost. Most relational databases storage engines (i.e. InnoDB) have write-back cache enabled by default in their internals. Queries are first written to memory and eventually flushed to the disk. In this post, we explored different caching strategies and their pros and cons. In practice, carefully evaluate your goals, understand data access (read/write) patterns and choose the best strategy or a combination. What happens if you choose wrong? One that doesn’t match your goals or access patterns? You may introduce additional latency, or at the very least, not see the full benefits. For example, if you choose write-through/read-through when you actually should be using write-around/read-through (written data is accessed less frequently), you’ll have useless junk in your cache. Arguably, if the cache is big enough, it may be fine. But in many real-world, high-throughput systems, when memory is never big enough and server costs are a concern, the right strategy, matters. I hope you enjoyed this post. Let me know in the comments section below which type of caching strategies you used in your projects. Until next time.